The Castle of Excideuil started as a small stronghold built in the 11th and 12th centuries by the Viscounts of Limoges to observe the road from Limoges to Perigueux. The castle fortifications were strengthened in the 12th century and the castle was able to successfully repel Richard the Lionheart on three different occasions between 1182 and 1184. Excideuil was visited by the King of France Philip IV in 1303 and one year later by the future Pope Clement V. During the Hundred Years' War, it was occupied by English troops on several occasions until it was finally retaken by the troops of military commander Bertrand du Guesclin. The castle remained in the possession of the Viscounts of Limoges during the French Wars of Religion; it took the side of the Catholics, although it briefly passed into the hands of the Protestants who were expelled the following year. 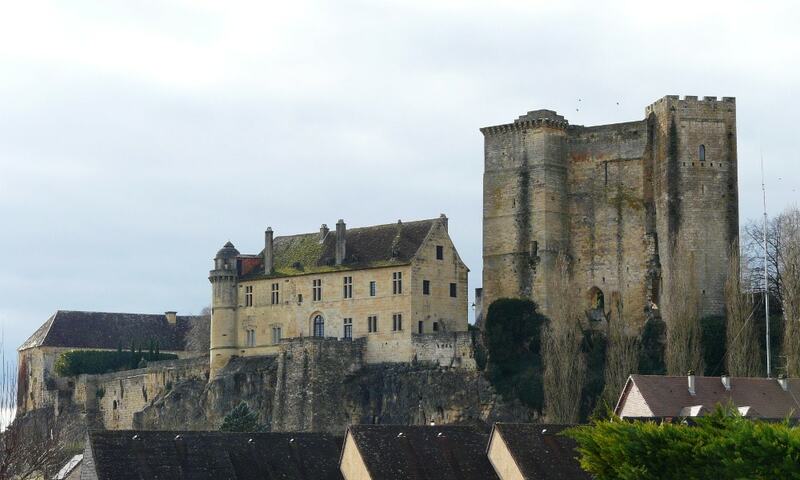 In 1613, the Talleyrand-Perigord family takes over the castle through marriage; the new owners decided to move to their Castle Chalais, in Charente, and Excideuil is left to ruin. In the second part of the 20th century, the new owners undertook some major renovations; unfortunately, the castle is not open to the public.